While the al-Houthi movement struggles to manage multiple regional challenges to its north, its rise to power in Yemen is a setback for Saudi Arabia on its southern flank. After the fall of the Yemeni government, Riyadh will have to capitalize on the al-Houthis' need for political and financial support to re-establish its influence in the country. But because Iran is trying to fill that support gap, too, Yemen has become another battleground where the two sectarian rivals will struggle against one another. After being driven from the capital of Sanaa in September, Yemen's government is at war with itself. President Abd Rabboh Mansour Hadi issued a statement March 19 denouncing the airstrikes on his compound in the southern port city of Aden as an attempted military coup by forces loyal to his predecessor and one-time ally, former President Ali Abdullah Saleh. Earlier that day, soldiers and militiamen loyal to Hadi battled their way into Aden's airport and stormed a nearby military base, both of which were under the control of Gen. Abdel-Hafez al-Saqqaf, a Saleh loyalist. A number of factors facilitated the al-Houthis' power grab in Yemen. First, Saudi Arabia's attempts to manage the Yemeni government in the wake of Arab Spring protests did not go as planned. Saleh stepped down in favor of his one-time vice president, Hadi, but the move exacerbated intra-government fissures along tribal, ideological, political and military lines. By the time Hadi took over, Riyadh's method of playing the various Yemeni factions against each other had undermined the old system to the point where the al-Houthis could take advantage of and align enough tribes to push beyond its northern stronghold of Saada and make their way down into areas south of the capital. While Saudi Arabia has long meddled in Yemen and focused on combatting al Qaeda in the Arabian Peninsula, Riyadh lost sight of developments in Yemen while focusing on other regional fights. Saudi Arabia has been trying to stem chaos in the region in the aftermath of the Arab Spring, especially threats from transnational jihadist groups such as the Islamic State. It has also been occupied with supporting Bahrain's pro-Saudi Sunni monarchy as it faces a democratic uprising from its Shiite minority. It was not that Saudi Arabia was not paying attention to Yemen, but it was not expecting Iran to gain ground on its southern frontier via a movement that is not a traditional Shiite one and in fact is theologically closer to Sunni Islam. Even if it had the means to intervene, it is not entirely clear the Saudis would want to. The al-Houthis do not pose a major threat to Saudi Arabia; on the contrary, the rebels' control over north and central Yemen insulates Saudi Arabia from the chaos in other parts of the country and especially from al Qaeda in the Arabian Peninsula, which is a more immediate threat. The Saudis would rather have the al-Houthis on their southern border instead of a jihadist quasi-state that is hostile to them. While the Saudis would prefer not to have al-Houthi control of such a large piece of Yemen so close to their border, the situation seems to be the best outcome in a situation where all options are bad — as long as the al-Houthis do not start pushing northward. The biggest factor keeping the al-Houthis from antagonizing Saudi Arabia is their need for financial support. The country's poor financial and economic situation means the al-Houthis — or any other governing group for that matter — cannot maintain order in country without external assistance. Without long-term financial support, Yemen's water shortages could turn into a humanitarian crisis that draws in Saudi Arabia, creating the need for Sanaa and Riyadh to cooperate. The al-Houthis are aware of this, explaining why they have reached out to Riyadh to participate in indirect talks. 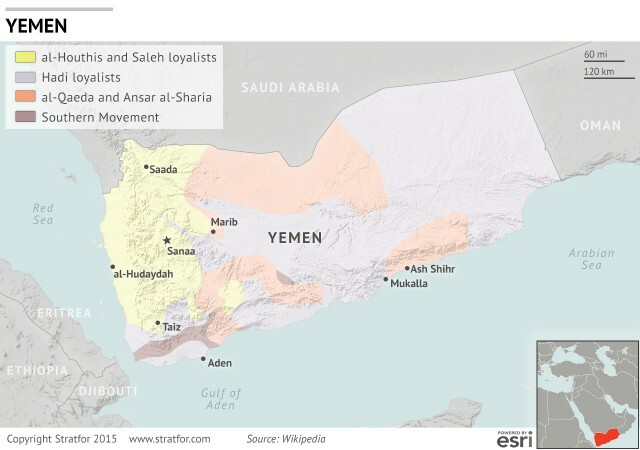 The al-Houthis find themselves in a situation fairly similar to that of Hezbollah in Lebanon. Both groups are the biggest force in their respective countries, but they exist within political and demographic conditions that keep them from running their countries alone. Ansar Allah is trying to emulate Hezbollah in terms of getting other factions to work with it and to form a government like the confessional democracy in Lebanon. Ansar Allah, however, is where Hezbollah was in the 1980s, and it will need time to translate its military prowess into political power. Also, the Saudis will try to prevent the group from going the route of Hezbollah. Unlike Lebanon in the 1980s, Yemen is not under Israeli occupation, and it does not have a neighbor like Syria that the Iranians can use as a conduit to nurture the al-Houthis. Many of Ansar Allah's opponents — including tribes, religious Sunni elements and members of the ousted government's security establishment — are open to cooperating with jihadist forces to fight the al-Houthis. The Salafists and jihadists are the most eager to engage in a sectarian battle because they see it as a way to enhance their position. Saudi Arabia cannot allow al Qaeda or the Islamic State to emerge as the most effective forces against Ansar Allah. The Saudis see the al-Houthis as a possible threat from Iran. How the Saudis engage with the group and try to put distance between them and Iran will be a key factor to watch. Nonetheless, Yemen's deteriorating security situation has created another Saudi-Iranian geopolitical struggle that will last for the foreseeable future. 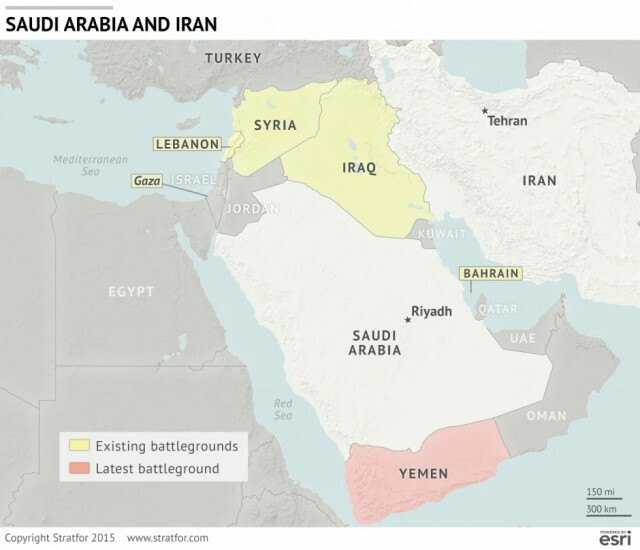 "Saudi Arabia and Iran Compete in Yemen is republished with permission of Stratfor."